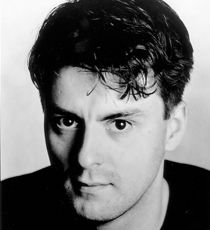 Dominic is a leading London stage actor – Young Vic, National, Almeida, Royal Court, West End. He is currently ‘Derek’ in THE JUNGLE playing at the Curran in San Francisco. Other recent highlights include ‘Lord Illingworth’ in A WOMAN OF NO IMPORTANCE in Dominic Dromgoole’s West End season, THE CHERRY ORCHARD (Young Vic), MEDEA (National Theatre) and THE DOLL’S HOUSE (Young Vic, West End, BAM New York). On television Dominic is known for many seasons of LAW & ORDER and most recently in Mike Bartlett’s PRESS for BBC1/PBS, and CATASTROPHE for Channel 4/Amazon.